This report analyzes the functional non-meat ingredients market, in terms of region, ingredient, meat, and product type, in terms of value (USD million) and volume (KT). The functional non-meat ingredients market has been growing over the last few years and this trend is projected to continue following the same trend until 2020. The primary factor driving the global success of functional non-meat ingredients is the increased adoption of these ingredients in the meat processing industry. There is an increase in the use of functional non-meat ingredients process, globally, especially in the Asia-Pacific and European regions. This increasing trend reflects the economic development, increase in the purchasing power of the consumers, and increase in the marketing and branding of different varieties of processed meat products. On the basis of ingredients, the market is segmented into binders, extenders & fillers, coloring agents, flavoring agents, and salts & preservatives. Also, the functional non-meat ingredients market is segmented by meat into beef, pork, mutton, and poultry. By product type, the market is segmented into fresh processed, raw-cooked, pre-cooked, raw fermented sausages, and cured & dried. The market is also segmented on the basis of region, into North America, Europe, Asia-Pacific, Latin America, and the Rest of the World (RoW); this has been further segmented on the basis of their key countries. Salts & preservatives led the functional non-meat ingredients market in terms of value, whereas extenders & fillers were the most used ingredient type by volume. The demand for functional non-meat ingredients incorporated in processed pork was 2,309.1 KT in 2014. Mutton is expected to be the fastest-growing meat variant both in terms of value as well as volume. The functional non-meat ingredients market is projected to reach a value of USD 35,276.0 million by 2020. Increasing incorporation of advanced meat processing technologies and key companies focusing on expanding their global presence through acquisitions are the two main factors that are driving the functional non-meat ingredients market. The Asia-Pacific region dominated the functional non-meat ingredients market in 2014. This report provides qualitative and quantitative analyses of the market for functional non-meat ingredients. It includes market dynamics, trends, competitive strategies preferred by key market players, the driving factors that boost the growth of the functional non-meat ingredients market, and restraints. 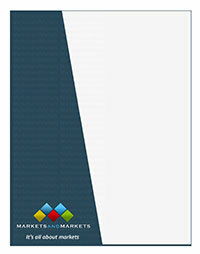 The report also studies the opportunities in the market for new entrants. Leading players such as Kerry Group plc (Ireland), Ohly GmbH (Germany), Prolient Meat Ingredients (U.S.), and E. I. du Pont de Nemours and Company (U.S.) have been profiled in the report.